It’s been quite awhile since I’ve written any Tot School related posts, and the truth is that we’ve been taking a break. I recently wrote about how I realized that all of my early educational goals for C and L may be a little bit extreme. I want to enjoy this toddler time and let them be little as long as as I can! I in no way want to push my toddlers to learn something he/she is not ready to learn, and I find it troubling that our culture harps on these so-called milestones that have to be met by ‘xyz’ age so much. I’m not saying that early education is not important. It is extremely important. I’ve just realized that my philosophy has changed since actually having my kids, and I want to try letting them lead me, instead of me leading them. So, I’ve taken a step back and thought and prayed about what direction to go in with focused learning. Do I plan a new lesson every week with a theme, a handful of activities and a field trip? Or, focus on a few new concepts, like numbers and letters through purposeful play for a couple of weeks? The answer is both, with much more of the latter taking place! Purposeful play has always worked well for us, and with an attention span of five minutes or less on most things, it’s the best way to go. Lately, the twins have gotten into a habit of just throwing things around. Not much true playing with toys is happening, and maybe that is a sign that they are bored. I’ve tried taking some toys away and reintroducing them, so they seem new. That works for a while, but then it’s back to “crazy play.” They are 16 months old, so it’s time for me to incorporate scheduled focused learning/purposeful play time into their daily routine. I imagine that it will look something like below. 6:45 a.m. – Good morning! Drink milk and go to the play room for independent play and TV time. 7:30 a.m. – Story time or music time, and mommy or daddy play time: hide and seek, chase, tickles, cuddling, passing the ball. 8:20 a.m. to 9:00 a.m. – Tot School: Purposeful Play. 9:00 a.m. – Independent play in living room, possible outside play and story time. 12:00 p.m. – Milk. Music or TV time and then independent play in living room. 1:00 p.m. – Tot School: Arts and Crafts and Purposeful Play. 1:45 p.m. – Independent play in play room. 2:30 p.m. – Mommy play time. 5:20 p.m. – Outside play or living room play. 5:45 p.m. – Daddy time in play room. 6:15 p.m. – Begin bedtime routine. This guide is still rocky because we haven’t quite transitioned down to one nap. The block labeled quiet time was previously a nap, but I am working on moving the morning nap up, so that they take one midday nap. Things will shift some then, but this is the general plan. Field trips will take place either after breakfast or later in the afternoon. 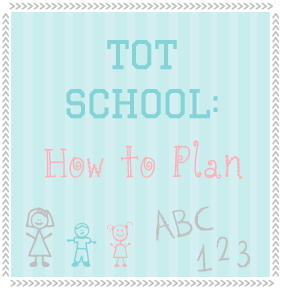 Be sure to visit our Tot School page for previous lessons. I’ll also be posting about each of our new focused learning activities next week. Have some ideas you’d like to share with me, or have questions on how to get started? Visit this page, leave a comment or send me an email! 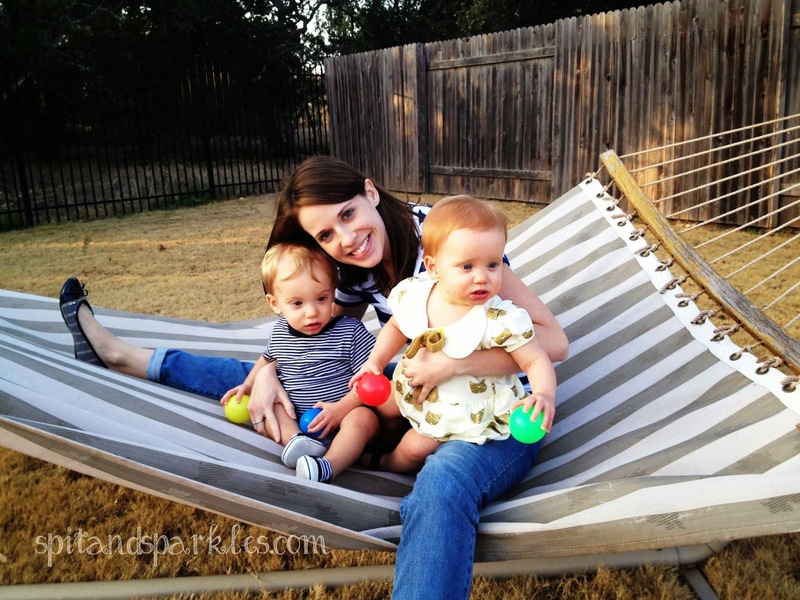 I would love to hear what you are doing to keep your tot engaged and yourself sane!